GKR-TR11 (ATUIS) - Blue Max Lighting & Emergency Equipment Ltd. The GKR-TR11 Automatic Train Undercarriage Inspection Systems does as the name suggests; automatically inspects the undercarriage of a train’s rail cars. The system is embedded between the rail tracks to allow trains to pass over either a dual- or single-view scanner so that the undercarriage of the individual rail cars is captured. Trains pass over the environmentally-sealed scanner while Gatekeeper’s system scans and compiles one or two (depending on scanner type selected) high-resolution image(s) of the train’s rail car undercarriage to create individual undercarriage digital “fingerprint(s)”. An overview image of each rail car is displayed on a high-resolution monitor along with the resulting scans of the rail car undercarriage. 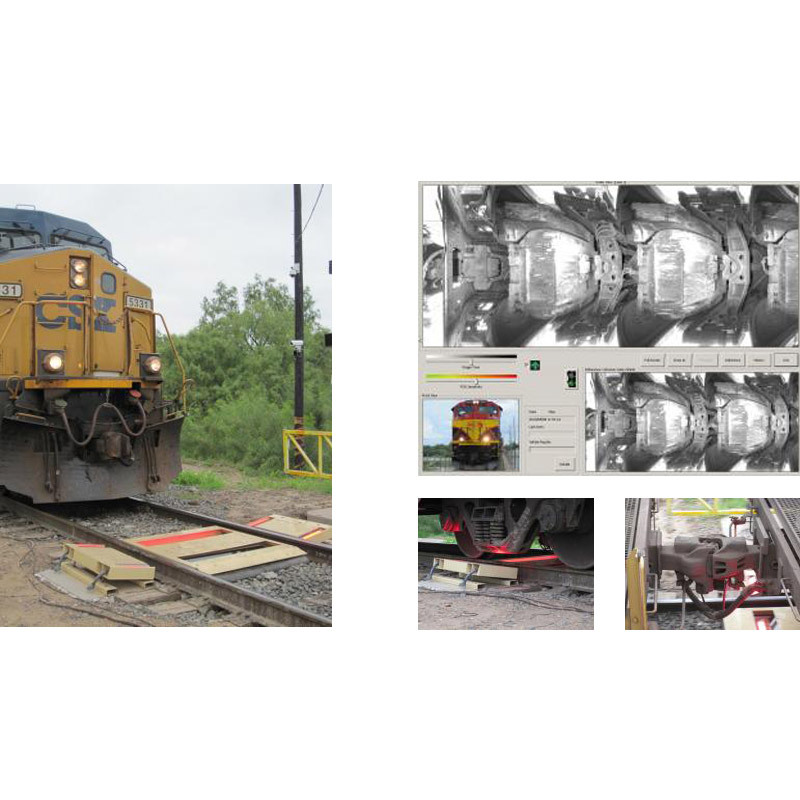 After each rail car has cleared the scanner, it takes between 2 and 3 seconds for Gatekeeper’s Automatic Foreign Object Detection [AFOD] software to automatically compare the newly scanned rail car image to a “safe” rail car image stored in the system database. The system then immediately identifies any foreign object(s) or modification(s) to the undercarriage by circling them with a red ring (see below) AND activating an audio and/or visual alarm. 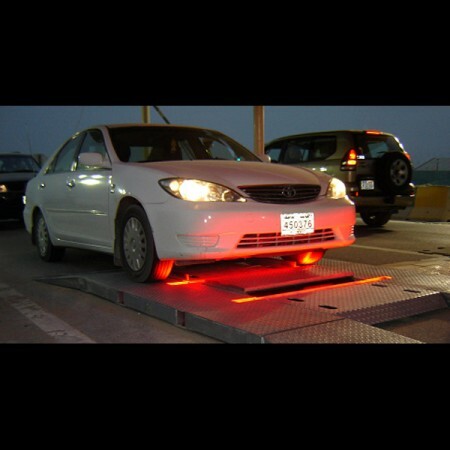 Gatekeeper’s systems compile two high resolution digital images of a vehicle under carriage and create a virtual “finger print” of the vehicle. Two independent views are necessary to provide the maximum amount of visual information to permit automatic identification and automatic searching. The two views or virtual 3D image makes it more difficult to hide objects, explosives etc on top of an axel or cross beam under a vehicle. 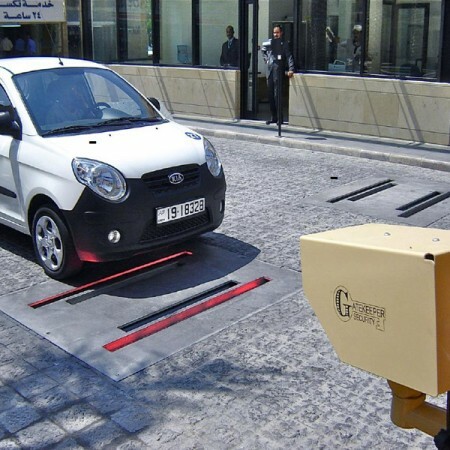 Gatekeeper’s technology uses Area Scan Image Processing technology which allows vehicle images to be normalized regardless of the speed of the vehicle as it crosses the scanning platform. Image capture and processing technologies such as recorded video streams, or line scanning processing are not capable of automatic identification and searching because they require the human operator to view/compare the images and decide if there is any object or modifications that could pose a threat. Live/recorded video and line scanning systems have been proven to be unreliable as an inspection technology due to poor performance and that they rely heavily on human knowledge, attention span and intervention. The system can be integrated with tracking technologies such as automatic container number readers (ACNR) & RFID readers. The GKR-TR11 has such standard features as the ability to identify each rail car configuration and size, number of carriages in a train, date and time of the arrival of individual rail cars over the scanner, activity reports and in addition are network enabled requiring only to connect the systems to a common network for remote monitoring or operation.